Fallout 4 is finally here and exploring the Commonwealth has been amazing so far for me – 8 hours straight without a single crash or problem – but unfortunately not everybody is as lucky as I am. 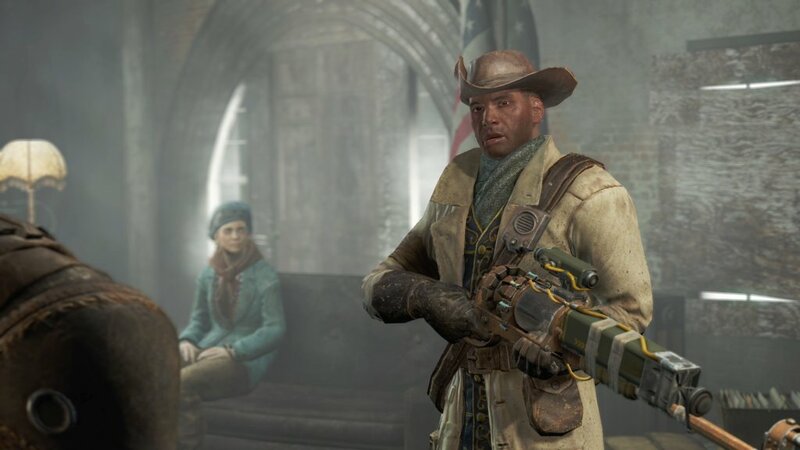 There are a lot of gamers – especially those running on PCs – that complain about Fallout 4 crashes, freezes and other problems that make the game unplayable or the experience of playing a drag. But I am here to share with you some tips and tricks on what to do to fix Fallout 4 crashes and freezes and get the most out of the game because it’s really worth it. Try everything listed below – some fixes might be listed for a particular problem, but they could actually solve different ones too. It’s worth trying! So let’s not waste any time and let’s check out all the possible fixes that we found for Fallout 4 crashes, freezes, black screen issues and other problems! It’s worth starting by making sure that your computer meets the minimum system requirements and that all your drivers, not just the graphic card drivers, are up to date. For example, nVidia has just launched the Fallout 4 drivers – make sure you download them here. Unfortunately, these will probably not fix most of the Fallout 4 crashes and problems you’re facing, in which case we’ll have to move a bit more in depth, so let’s get this started and let’s check out solutions below for the most common problems faced by the gamers. As strange as it might sound, restarting your system might fix this problem – many gamers reported that they got rid of the problems after a simple restart. Also, just like it happened in Fallout 3, the problems might be audio-related. Make sure that you update your audio drivers and disable 5.1 sound settings – go for stereo instead. This should work! Click the Windows Start button and type “Services” in the search box. Right Click the Services icon and select Run as Administrator. In the new window, scroll down until you reach Nvidia Streamer Service -> Right Click -> Properties then stop the service. Also select Startup type: Disabled afterwards so it doesn’t turn on again. It helps with the in-game performance a lot, but also fixes potential crashes of Fallout 4! Try running the game in windowed mode. Players running the game in borderless window mode reported improvements and crashes stopped from occurring, so it’s worth a try! Again for PC owners, if the game doesn’t give you any mouse controls and you have a gamepad installed, it’s best to simply remove it to regain access to your mouse. It’s also a good idea to remove any wireless devices that you don’t need while running the game, including wireless headphones. If you don’t have a gamepad, then you will have to edit the fallout4prefs.ini in Documents/My Games/Fallout 4. Find the line bGamepadEnable=1 to bGamepadEnable=0. In order to fix the mouse acceleration problems, in the same file change the iPresentInterval to 0 and then set bForceIgnoreSmoothness=1. If the fixes mentioned above don’t work, try turning off any other programs running in the background. If you’re running any kind of live streaming / video recording program, that is the most likely cause for your problems so turning that off will fix your game. In the end, if nothing else works, your only option is to start bringing down the game’s visual settings. Lower the resolution, turn Antialising off, as well as Anisotropic filtering. Also click the advanced tab in the options menu and set everything to low, while also making sure to reduce the view distance. The game won’t look as pretty, but you should play for a while and see if the crashes still happen. If they don’t, start bringing up the settings until you find the perfect ones for the game to run without causing any problems. This would be it for now! We’re keeping our eyes on the forums and trying to find any other potential fixes for the Fallout 4 crashes and freezes. If you manage to find a solution that works, let us know by commenting below!